Mankind has come a long way from the stone age to space travel, driverless cars, artificial intelligence, and more! Long story short, the future is here! We are already living the life of the Jetsons, aren’t we? A feather in the cap of the modern age is virtual reality (VR). Yes, VR is one of the most intriguing technology trends, and it has great potential for consumers as well as businesses. Though VR relates mostly to gaming, this emerging tech is breaking down the wall that once prevented businesses from adopting it. Now when we talk about business, we cannot afford to overlook the significance of human resources (HR), since business is all about relations and people management. HR is the critical entity that bridges the gap between a business and its employees. In an era when everyone’s going gaga over virtual reality, how can HR get on the bandwagon? For the skeptics, VR can be applied to various business functions. For example, what about a virtual tour of your company, a holistic and 360-degree view of your services and products, or offering simulated training for all those new hires. Yes, it all begins with hiring. Often, HR and talent acquisition experts go with their gut instincts and guesswork when it comes to judging a candidate’s application and whether he/she will be a good fit for the company. This often leads to the wrong candidate being hired. Virtual reality could enable a prospective candidate to take a virtual tour of the company. He/she could take a stroll through their prospective place of work, meet other managers and employees, or even start on a new project. It’s a win-win situation, as the candidate receives good exposure to the company’s workplace culture, and HR can get to know whether he/she is a perfect fit. In the age of layoffs and millennials, employee retention is something that every HR and talent acquisition manager craves. It is a nightmare for a company to have a global workforce reporting in from remote locations in different time zones. Virtual reality can change the talent management game altogether. A few years from now, when VR has become the norm, an HR manager will be able to have his/her avatar work with a colleague in a different country. Eureka! Team building and social events, conferences, meetings, presentations, performance reviews, etc. will be able to be conducted in a virtual world. Employee training is one area that particularly stands at the forefront of reaping the benefits of virtual reality. Yes, VR technology holds great potential to drive employee training and skill acquisition to a completely new level. For example, if you want your next manager to be a good public speaker, you don’t have to sign-up for some expensive and time-consuming public speaking course—a virtual coach is all you need to get the job done. Providing employees with opportunities to explore and adopt diverse business areas would become easy. By eradicating costs and time, virtual reality offers a good platform for employees to hone their skills. Get over potluck, selfies and weekend fun—VR is here to transform the game of team building. Yes, virtual reality is set to revolutionize team building for HR. Looking at today’s global workforce scenario, VR can assist businesses to conduct virtual conferences for remote employees and carry out team-building activities on a global scale. People at the managerial level can set up virtual retreats and social events for optimum workforce engagement and communication, all in a time-saving and cost-efficient manner. Make way for a well-connected and engaged workforce in the near future. 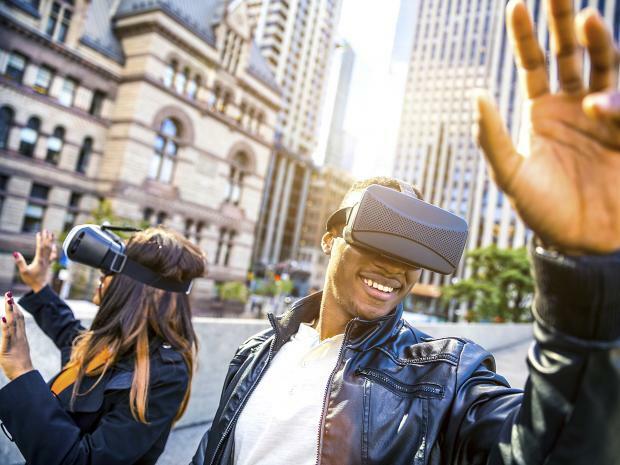 At its heart, virtual reality is entirely about improving the user experience, so it shouldn’t be surprising to see a whopping number of businesses waking up to the idea of embracing this technology. As a matter of fact, it shouldn’t take too long until VR turns out to be a tangible asset for businesses across the globe. This article has been written by Anwar Shaikh, he writes for Pocket HCM and originally published in WISP blog.